Brown did in UIC on Thursday night. Wright State’s Todd Brown, that is. Brown’s three-pointer from the corner with just over just over 11 seconds remaining was the dagger that ended the Flames’ 10-game home winning streak and gave the visiting Raiders a 76-75 victory at the Pavilion. With Wright State ahead 73-72 in the final minute, sophomore Vaughn Duggins kicked the ball to the right corner where classmate Brown caught it and buried the game-clinching three-pointer with 11.4 seconds to play. Brown finished with 13 points and six assists while Duggins led the Raiders with 19 points and five helpers. In a game where they trailed for most of the second half, the Flames (9-8, 3-3 Horizon League) finally took the lead at 72-71 on Josh Mayo’s floater with 1:15 left. On Wright State’s next possession, sophomore guard Vaughn Duggins drive through the heart of the lane for a layup as the Raiders (10-6, 3-4) regained the lead at 73-72 with 53.9 seconds left. The Flames had a chance to answer, but Mayo missed an open three-point shot from the top of the key with 43 seconds left. Jermaine Dailey had his hand on the rebound, but couldn’t grasp the ball before WSU’s Scottie Wilson corralled it. Mayo, who scored a game-high 21 points and was 5-for-6 from three-point range, said the shot felt good leaving his hand. WSU coach Brad Brownell called a timeout to set up a play that led to Brown’s clutch trey. After Brown’s three, Robert Bush missed a three-pointer badly before Mayo drained a triple at the buzzer to make the margin of defeat agonizingly close. With a 39-38 lead, WSU began the second half with a 7-2 run, which included two easy layups from Flames’ killer Jordan Pleiman, putting UIC in a hole that they needed fight back from for the entire half. Karl White Jr. scored 20 points and helped lead a second-half rally to pulled the Flames back into the game. The Raiders led by as many as 11 when freshman guard Troy Tabler nailed a three-pointer with 13:59 remaining to make the score 58-47. After a timeout, UIC answered with six straight points to start a 14-4 run. Karl White Jr. had eight points in the spurt, including three layups, and Dailey slammed home an offensive rebound. White, Dailey, Mayo and freshman Tori Boyd were all on the floor during the run and Collins admired the energy that group conjured up. The Flames played decent defense at times in the second half, but they could not get the key stops at the end of the game. In the first half, both teams were on fire, especially from three-point range. UIC charged out of the game with a 13-4 lead, a spurt that included two three-pointers from Mayo and a three from Bush. The Raiders worked their way back into the game, also using their outside attack. WSU made 7 of 11 three-point attempts in the first half, many of them wide-open looks as the Flames’ defense broke down. Tabler nailed a three-pointer 13 seconds before halftime to give the Raiders a 39-38 advantage at the break. In the midst of a three-game homestand with a chance to stockpile some victories in conference play, the loss did some damage for the Flames. UIC freshman Tori Boyd, who brought energy off the bench, matched his career-high with 11 points. A sign that the Flames’ offense is starting to run better: The Flames had 20 assists with just seven turnovers. Three players shared the team lead in assists with four: Mayo and White and Scott VanderMeer. In fact, VanderMeer made at least two nifty passes out of the post to perimeter shooters. Boyd tied his career-high with 11 points on 4-for-9 shooting. “It’s halfway through the season, I had to start picking it up,” Boyd said. “I’m starting to feel better about what I’m doing.” He also had 11 in the Flames’ season opener against Bradley on Nov. 10. It was the Flames’ first home loss since a 65-55 setback to Green Bay on Feb. 14. … Wright State’s Tabler is the son of former Major League infielder Pat Tabler. … UIC sophomore forward Jovan Ignjatovic missed the game with the flu. 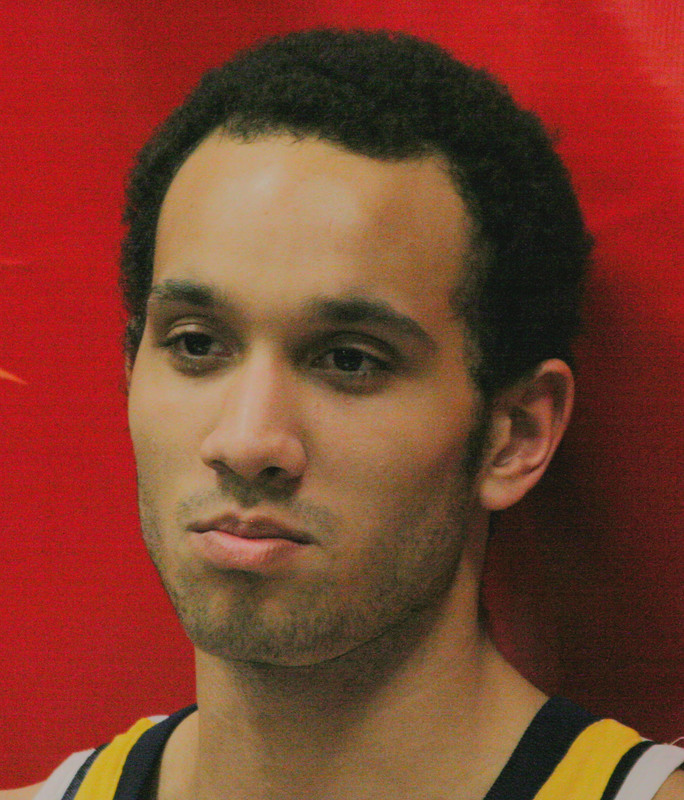 … Former Flames forward Othyus Jeffers attended the game. He is playing his senior at Robert Morris in Chicago. IN THE WINGS: Whoosh! has learned that UIC has received an incoming junior college transfer for next season. 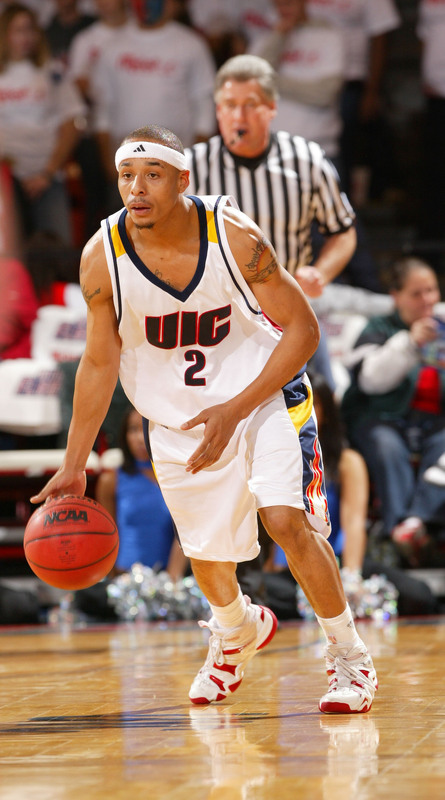 Kris Harris, a 6-foot-3, 185-pound guard from Chicago, is now attending classes and will be eligible to suit up for the 2008-09 Flames. Harris was a First-Team NJCAA Division II All-American at South Suburban in South Holland. He averaged 15.4 points on 51 percent shooting and made 72 percent of his free throws. He also averaged 6.7 rebounds, 3.1 assists and 2.2 steals for the Bulldogs. Harris, known for his mid-range game, scored 29 points as South Suburban won the seventh place game at the NJCAA Division II tournament last spring in Danville, Ill.
Harris played his freshman of collegiate ball at Jackson State, averaging 0.6 points per game in limited action of the bench. He had a career-high six points in a win over Texas Southern. He averaged 16 points per game as a senior at played the senior year of high school ball at Westinghouse, the same school that produced former UIC stars Mark Miller, Cedrick Banks and Martell Bailey. Harris played his first three seasons at Proviso West. UP NEXT: The Flames wrap up their three-game homestand against Detroit at the UIC Pavilion on Saturday. The Titans have struggled mightily this season after the unexpected losses of guards Brandon Cotton and Brandon Bell. Detroit (4-13, 0-7 Horizon League) has lost 11 straight after a 71-65 setback at Loyola on Thursday night. The team is without coach Perry Watson, who is on a medical leave of absence. Top assistant Kevin Mondro is running the team on an interim basis. Senior Jon Goode leads Detroit at 18.8 points per game (21.9 in conference games). The 5-foot-10 guard from Flint, Mich. is one of the best penetraters in the conference. Junior forward Chris Hayes, from Mt. Carmel High School in Chicago, provides some support in post, averaging 10.5 points and 6.9 rebounds per outing. The game tips off at 3 p.m. on Saturday with a video streaming available on the Horizon League Network and audio streaming, with Flames’ play-by-play man Adam Levinson, will be available on uicflames.com. The mascot basketball game will be held at halftime and the 2008 UIC Hall of Fame Class, including former baseball player Curtis Granderson and one-time women’s basketball star Penny Armstrong, will be honored during the game.